As you sit back in your seat watching the ground drop away, did you ever stop to think about the impact of your flight on the people below? Aircraft noise isn’t as bad as it was in past decades thanks to new, quieter engines, but it’s still a big issue for many people who live around major airports or on flight paths into and out of those airports. 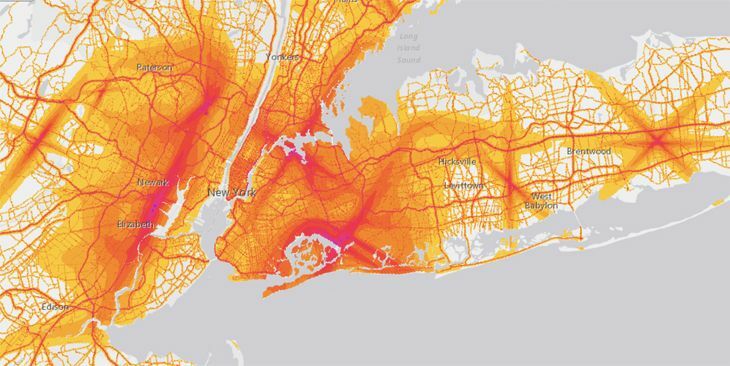 And now the Transportation Department has come out with an interactive tool to demonstrate exactly where the sound emitted from aircraft have the biggest impact on surrounding cities and towns. 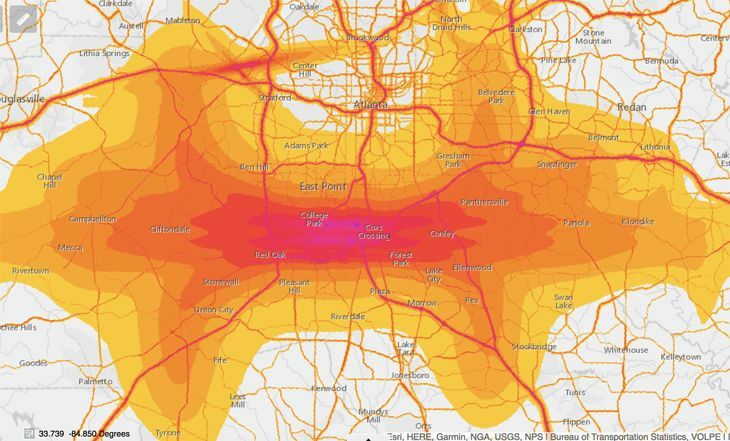 With DOT’s new National Transportation Noise Map, users can zoom into various cities and study the color coding to see the worst areas for aircraft noise in major metro areas. If you live on the Upper West Side of Manhattan, for instance, you may have noticed that aircraft coming into LaGuardia tend to fly north up the Hudson River, then turn sharply right at about 96th Street to make their approach. 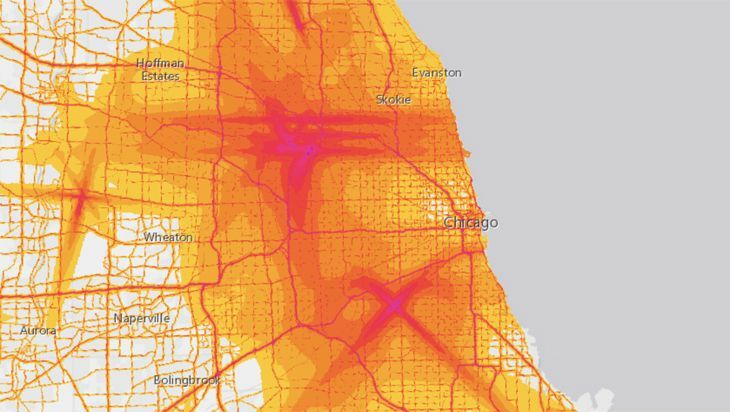 And there on the map is a bright red area along 96th Street, where the noise is the loudest. 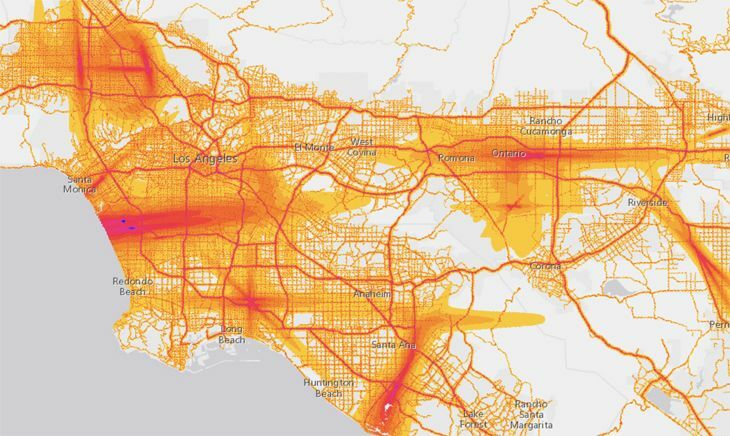 DOT estimates that only a very small percentage – a fraction of one percent – of the population is regularly exposed to really loud noise from airport traffic. 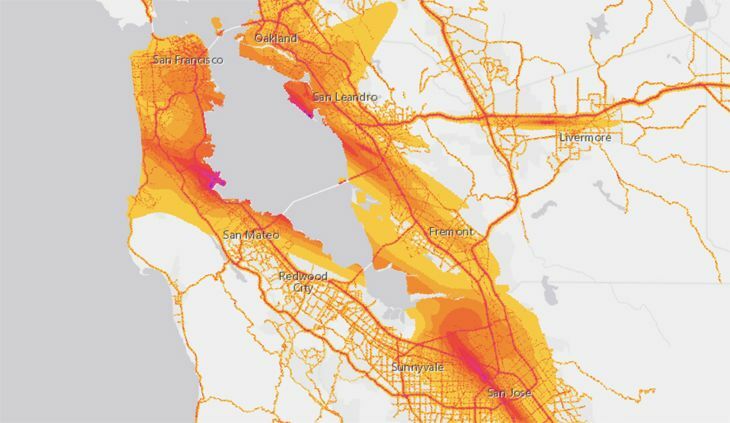 Still, if you’re sensitive to that kind of thing, it might be worth your while to study DOT’s interactive maps in detail before you move to a new house or apartment. There’s a fare war festering between major airlines and ultra-low-cost carriers between the West Coast and Chicago with fares as low as $120 round trip. What’s best about this deal is that it is good for spring break travel– we’ve found super low, sub $150 roundtrip fares on SFO-ORD and LAX-ORD from now through the end of May. The cheap fares are lead by the ultra lows: Spirit Air and Frontier. Both are offering fares as low as $100 round trip on this busy route, which is crazy. But keep in mind that you end up paying a price for using these guys…you are dinged for carry-on bags, seat assignments, and don’t get much love (or alternatives) if your flight is canceled or delayed. You might have to take a red-eye. But still, $100 round trip is tough to resist! TravelSkills deals delivered to your email box! Sign up here for one email-per-day updates! Majors have responded with ultra low fares of their own– we found nonstop deals on United, American, and Virgin America for as little as $120 round trip. We found American’s code share on new Alaska Air operated nonstops between San Jose and Chicago as cheap as $128. And these are regular economy fares, not the new stripped down “basic economy” fares loaded with restrictions and fees. Plus most of these flights are at decent times, you’ll still earn miles or points, and are not saddled with too many restrictions. Get $200 when booking your next trip: Use code: TS! Southwest does not appear to be engaging in this fare war– its cheapest Oakland-Chicago Midway flights are still in the $300 roundtrip range. Anytime we see roundtrips between California and Chicago running less than $200, we know it’s time to jump. So if this works for you, jump! It won’t last for long. NOTE: These fares were available using Liligo and Google Flights on Tuesday, Feb 21 and subject to change. We also confirmed fares on individual airline sites. Let us know if you have been successful or unsuccessful in finding these fares–put it in the comments. Two big Asian airlines launched a good fare sale this week. These deals are good from several US gateways to cities all over Asia. So if you’ve been sitting on the fence about going, now would be a good time to bite. How do we know this is a good sale? Well, any time you see transpacific fares in the $600-$700 range, you know you’ve got a good deal on your hands. We’ve seen fares as low as $500 roundtrip on other Asian carriers, but it’s rare to see them go this low on two of Asia’s premier airlines. Plus, the window for travel is very wide for this sale. Let’s take a look at the Cathay Pacific sale first. The Black Friday Sale runs from now through November 30th with fares running at about 30% off in economy and 35% – 40% off in business. What’s best about this sale is its breadth. It’s good from all US gateways to 55 Asian cities. And the window for travel is super long, running from December 25 through May 23, 2017, and then again from August 15 through November 26. Economy ares from SFO and LAX are just $651. What’s remarkable here is that fares from Chicago and New York are only about $30 more, starting at $685. From Boston, the lowest sale fares are $725. Premium economy, which is a really nice seat and exclusive section on Cathay is going for about $1300-$1400. Business class is $4,340 from all US cities. Details on Cathay Pacific sale here. Lowest economy fares start as low as $675 to cities throughout Asia on Singapore. Singapore Airlines’ sale fares are slightly higher coming in starting at $675 from including Los Angeles and San Francisco and $699 from New York and Houston. Restrictions are a bit more cumbersome here, too. 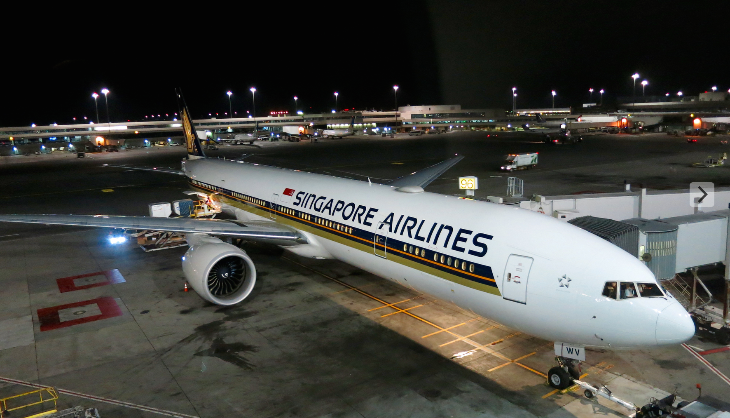 Singapore’s new Premium Economy fares to Singapore are $1,325 departing San Francisco and Los Angeles, and from $1,399 from JFK for travel to Singapore and select Southeast Asian destinations. Regrettably this sale does not include Singapore’s new nonstops between SFO and Singapore (flights SQ31 and SQ32). To get the sale fares, SFO flyers must transit Hong Kong first. Flights must be booked between November 14-28, 2016 for travel January 10-September 30, 2017. Fares are applicable for midweek travel Sunday through Thursday, and a $100 surcharge for weekend travel (Friday/Saturday) in Economy and Premium Economy Class. Blackout period for Economy Class is June 16-July 9, 2017 with a $100 surcharge for travel from July 10, 2016-August 14, 2017. 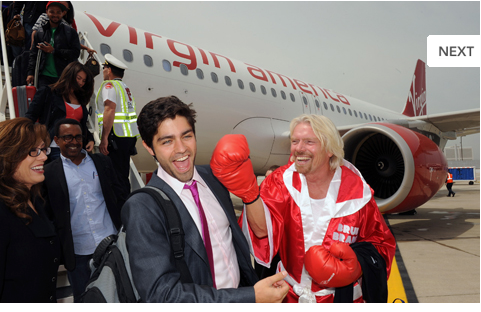 On Wednesday, Virgin America inaugurated nonstops between San Francisco International and Chicago-O’Hare (ORD) in typical fashion– by throwing a big, glam party on a Chicago hotel rooftop full of stars (like Adrian Grenier) and swashbucklers (like Richard Branson). Fans of Virgin have long awaited flights to the Windy City, but the carrier’s attempts to enter the SFO-ORD market were stymied due to lack of gate space and the power of entrenched legacy carriers American and United Airlines. However, recent gate swapping among consolidating airlines plus a full-on charm offensive on the Chicago political machine finally landed Virgin with rights to fly from both Los Angeles and San Francisco into O’Hare. This is great news for Bay Area travelers who fly regularly on this very busy route. Entry by a new low-cost carrier means that fares will remain in check and hopefully decline. Virgin offered a few $200 round trip fares to kick off the service, but looking out over the summer months, you’ll pay $300-$400 or so to get to and from Chicago on any carrier. If that seems painful, I’m certain it would be a lot worse if Virgin were not in the market. With all these flights plus Southwest’s service into Chicago Midway airport, I can smell a fare war brewing…but it won’t happen until demand starts to wane in the fall months. Members of frequent flyer programs are already benefiting from a slew of new promos to attract and/or keep them from shifting. American AAdvantage and United Mileage Plus jumped in with their biggest marketing guns: double elite qualifying miles for flights through the end of August. With that, Virgin’s Elevate countered with a triple points promotion (that’s a cool 15 points per dollar spent. Not bad!) 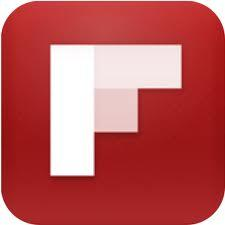 Too bad Virgin does not have an elite level for Elevate members yet…but execs tell me it’s in the works….stay tuned. Frequent travelers should keep in mind that Southwest Airlines flies nonstop to Chicago’s Midway Airport four times per day from Oakland, three times from SFO and once a day from San Jose. Southwest’s summer fares to Midway are also in the $300-$400 range. What do YOU think? 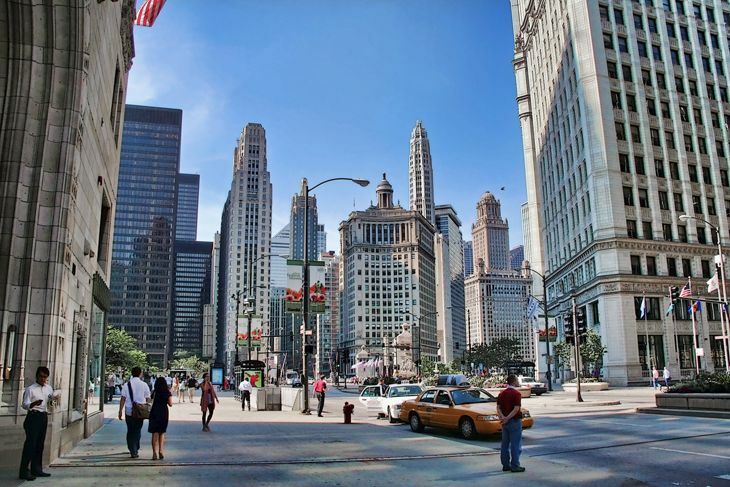 Next time you fly to Chicago, which airline would you choose…and why?